Did you know that our beloved Peri Park was built by volunteers? The Town of Fairfax helped buy the equipment and then moms and dads built the whole thing! It's up to volunteers, like you, to maintain the park and make sure it stays fresh and clean for generations to come. As parents and caretakers we are focused on enhancing the park by addressing various safety issues as well as adding practical beautification and enjoyment features. Due to wear and tear on our two main structures and various inspection issues, the PARC team has been working hard with local playground designer, Richard Sloan. 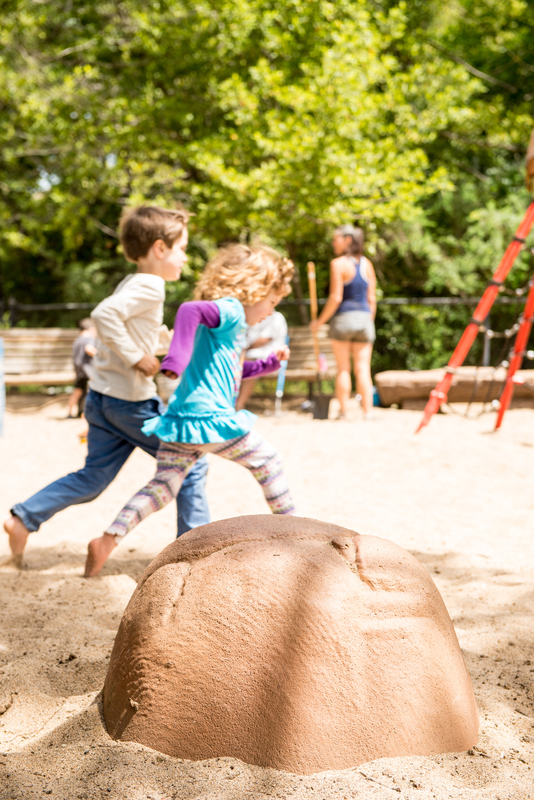 The goal is to raise enough money to re-build both structures with cedar wood incorporating events and design elements that keep with the character and charm of the current playground. To achieve these goals, we are needing your support. Below is a list of ways you can get involved to help donate, volunteer and support Peri Park. Come help us freshen up our beloved park by raking the sand, cleaning the structures, pulling weeds, picking up trash, fixing toys and play equipment. Our park if finally getting the attention it needs. Please join us in making it even better! Refreshments will be provided.